Do you wanna hear the ‘most excellent’ news all week? 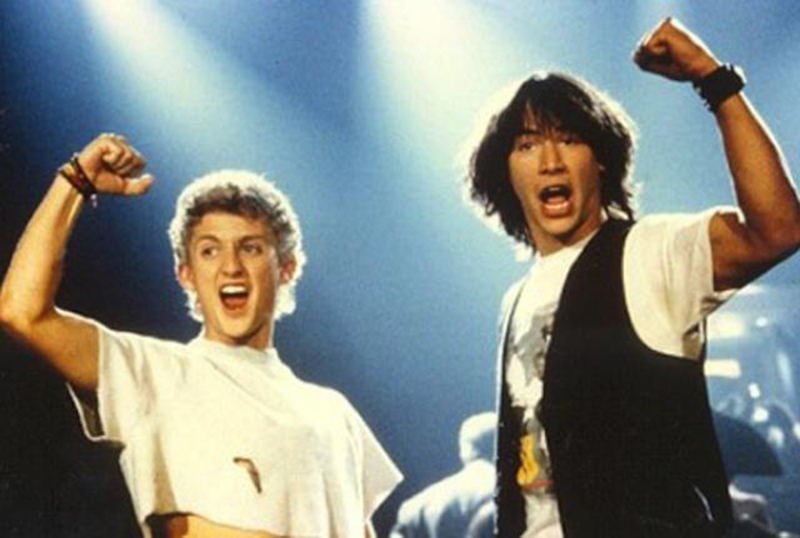 Bill & Ted 3 is officially happening! Party on, dudes! It’s been 27 years since the second film, and my personal favourite, Bill & Ted’s Bogus Journey. 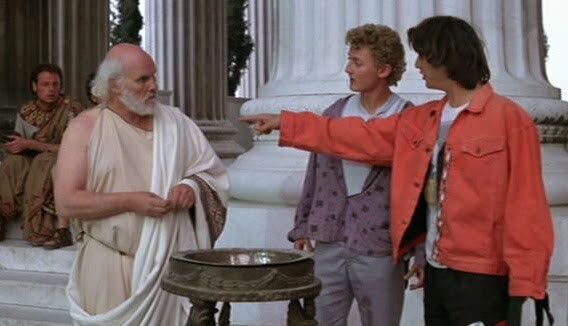 You know the one when Bill and Ted get killed by two robot doppelgängers who go onto steal their fiancées. Bill and Ted then challenge death to a series of games in the afterlife in a way only Bill and Ted could. If my memory serves me right, games such as Twister, in an attempt to get their lives back – which they do. Sorry for the spoiler but it’s been 27 years. 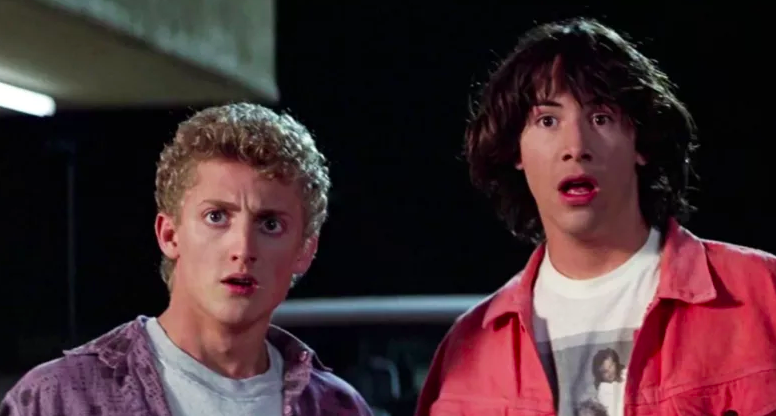 Now Ted ‘Theodore’ Logan and Bill S. Preston Esq, played by Keanu Reeves and Alex Winter are, according to Deadline, confirmed back for the third movie which is set to be titled, Bill & Ted Face The Music. The last we saw of these two young, youthful, rebellious, and pretty stupid dudes was at the end of their Bogus Journey as they blasted God Gave Rock ‘N’ Roll To You leaving their futures up to the creative minds of the audience. However they’re not so young anymore. The plot for the threequel states that we will see Bill & Ted as two middle-aged men with families of their own. But that isn’t to say that they’re not still committed to a legacy as rock stars. They just haven’t yet fulfilled their destinies. Although they’ve written thousands of songs together, they still can’t piece together a decent one, never mind a great one. 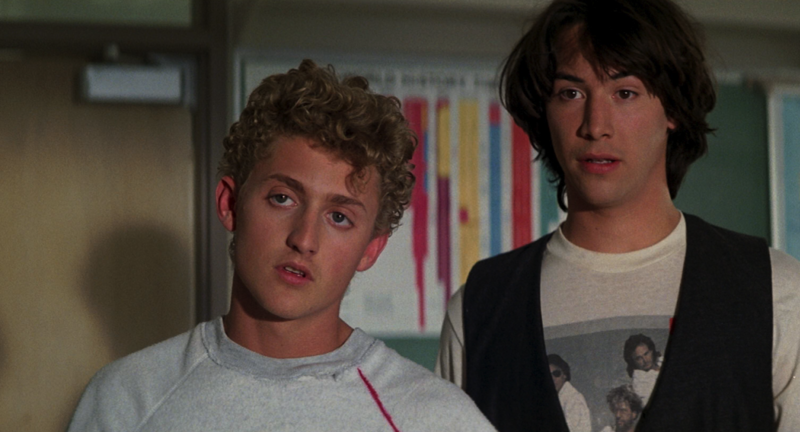 But we must remember that Bill & Ted are two time travelling dudes. Shortly into the film a visitor from the future comes to see the duo warning them that only their music can save life as we know it. So, of course, what do they do? They set out on another time travel adventure to try and concoct a song that will bring harmony in the universe as we know it. According to an interview with Alex Winter a while back the film is likely to involve some prehistoric time travel – including an appearance from Socrates, Billy The Kid, and a cameo by Eddie Van Halen. It has also been reported that an appearance from the Grim Reaper is likely too. We couldn’t be more excited to get the whole band back together again. Chris and Ed wrote an amazing script, and with Dean at the helm we’ve got a dream team! As if things weren’t already good enough, the film is reported to have been been written by the franchise’s original creators Chris Matheson and Ed Solomon with Dean Parisot confirmed to direct. Scott Kroopf, who produced both of the original films, is set to produce the upcoming movie together with Alex Lebovici and Steve Ponce of Hammerstone Studios. Finally, the executive producers for the movie are confirmed as Steven Soderbergh, the director of Traffic, Magic Mike, and Oceans 11, 12, and 13, as well as Scott Fischer, John Ryan Jr, and John Santilli.